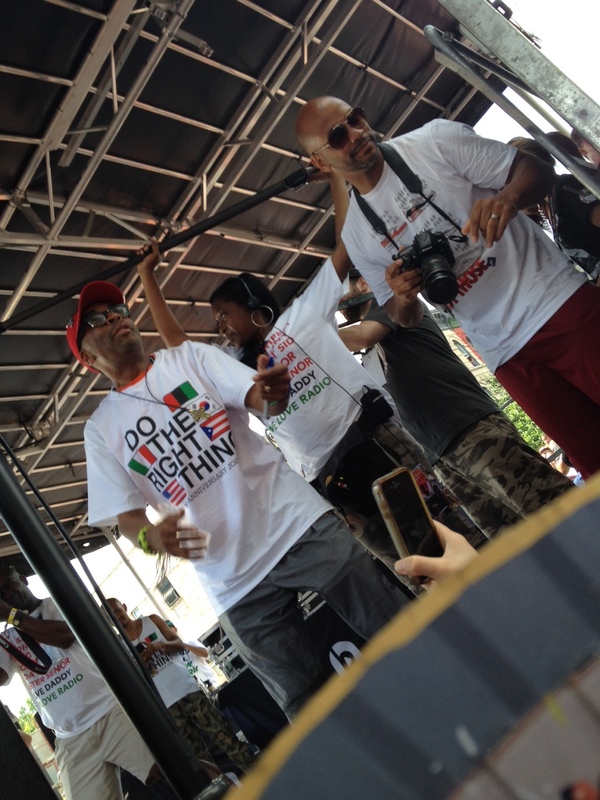 Spike Lee: Do The Right Thing Block Party! 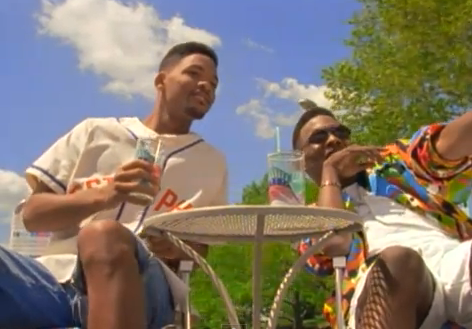 Summer-time in Brooklyn! Echoes of laughter, flocks of happy-spirited folk, good music blasting from the mega speakers with the DJ on the microphone, aroma of fried fish, macaroni and cheese and greens from the food stands and lines of fellow Brooklynites awaiting for the Italian ice trucks as they try to cool off from the hot sun baking on their skin……Yes, these are all of the elements of a traditional Brooklyn Block Party. Now add, Spike Lee celebrating the 25th year anniversary of the 1989 classic film “Do The Right Thing from his film production company 40 Acres and A Mule on the same block in Bed-Stuy, Brooklyn where it was filmed. All of the elements of a great block party turned all the way up. The short block was filled with people. Not only was Brooklyn there, but everyone from the Tri-State area and tourists that heard about this amazing event and appreciated the cult-classic movie and all of Spike Lee’s films that he has directed and shared with us over the past quarter century. The celebration included visits from comedian/actor Dave Chappelle, actor Wesley Snipes, songstress Erykah Badu and others. 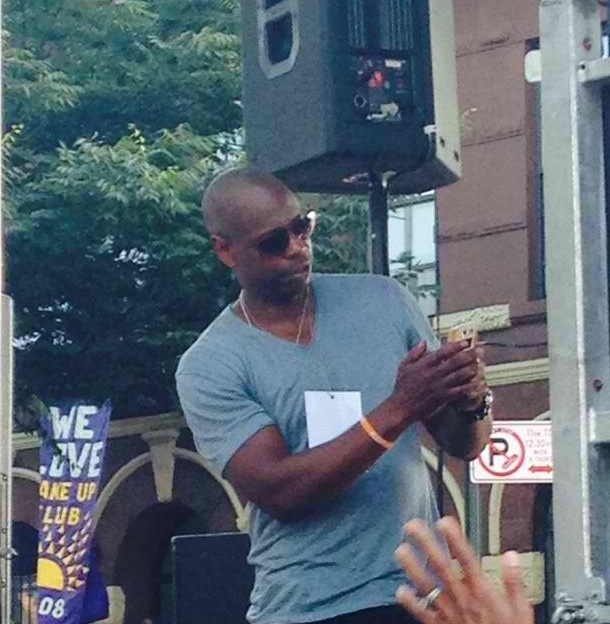 Dave Chappelle pleased the crowd by taking “Selfie” photos with various audience members’ phones. 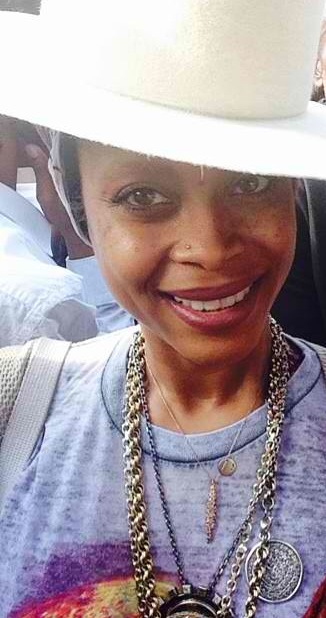 A tribute was made to the legendary actress Ruby Dee that recently passed. 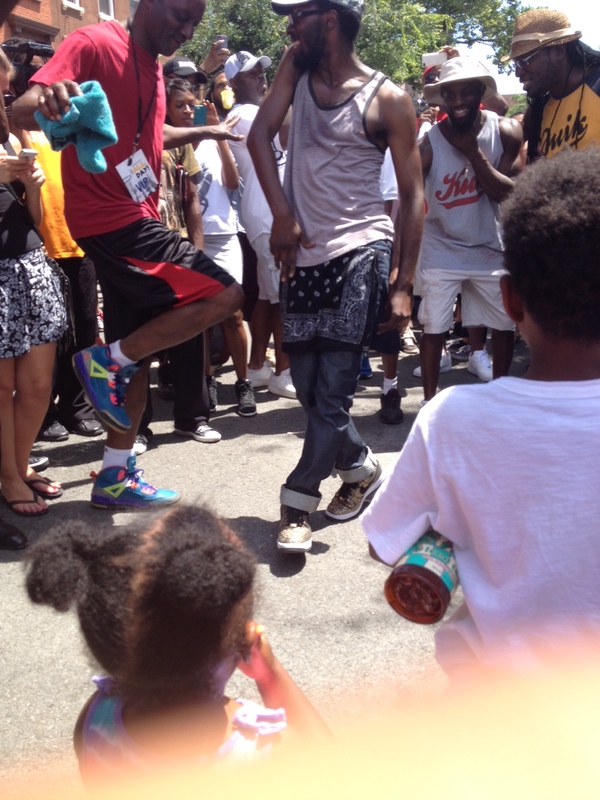 Old school street hip-hop dancers were moving to the beats as the younger generation looked on admiring the culture and celebration of a traditional Brooklyn block party. The streets were flocked with a diverse bunch of people from age and ethnicity. Beats headphones had a picture booth and there were basketball hoops in the Children Zone. A large congregation of people stood around the stand for 40 Acres and a Mule paraphernalia as they passed out free t-shirts and sold the anniversary edition of “Do The Right Thing” movie. 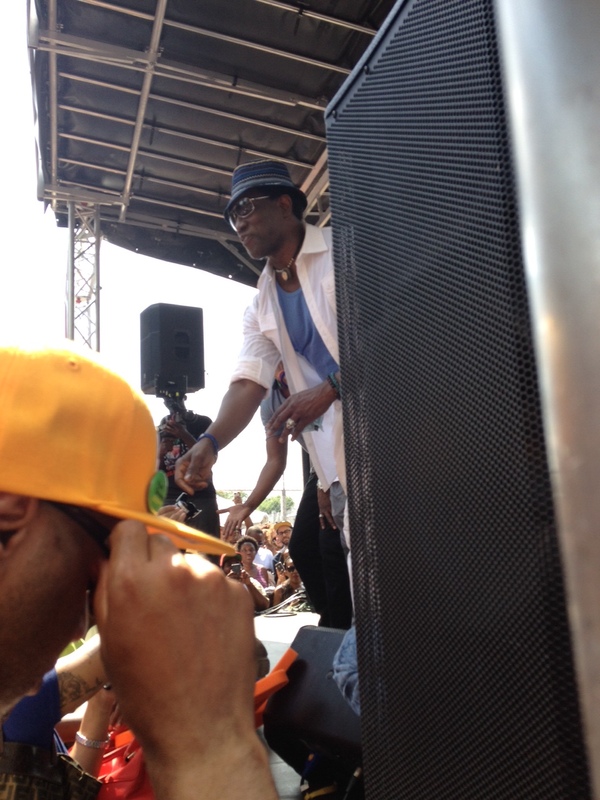 Legendary rapper “Chuck D” also came and embraced the stage, to show his support for Spike Lee. 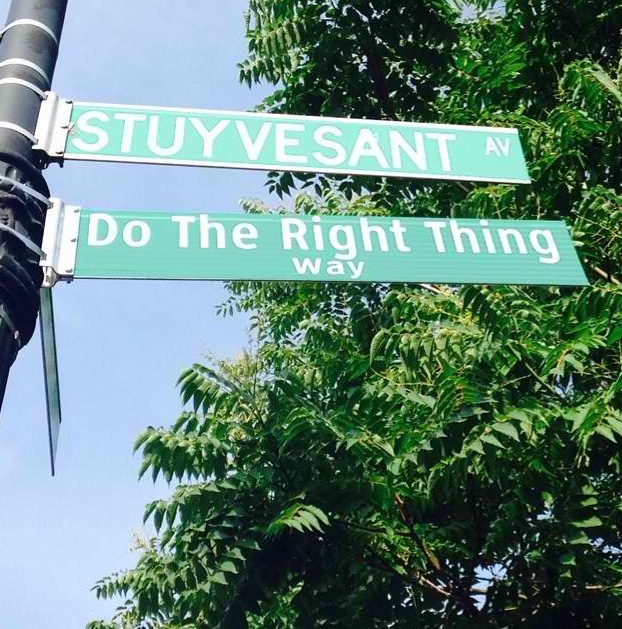 The highlight of the evening was the unveiling of the new street name “Do The Right Thing” Way that now is fixated below the “Stuyvesant Ave” street sign. As the sign was placed on the sign post, everyone applauded and cheered. What a magnificent time it was and fortunate to share the experience with my children. A truly historic moment that allows us all in attendance to reflect on the wonderful impact African-Americans film have had on the movie industry and be embraced with the presence of Spike Lee, who is a true pioneer of making African-American films main stream. I could not think of a better way to celebrate the 25th anniversary of the film “Do The Right Thing” than right in the heart of Bed-Stuy Brooklyn where it was filmed. Brooklyn Stand-Up! Previous PostI Am A Product Of “The Divorce Generation”!Next PostRomance and Finance!